May 25th 2005 - When you commit to using the Core Nutritional Product Pack for 90 days, you'll feel healthier and earn rewards like projuct discounts and cash rebates. Find out more today, call 704-823-1577 or e-mail colon@carolina.rr.com. Thai-Go is a potent source of powerful compounds called xanthones, which support the immune, structural and digestive systems as well as the brain and skin. It is a powerful antioxidant and immune-stimulating drink. 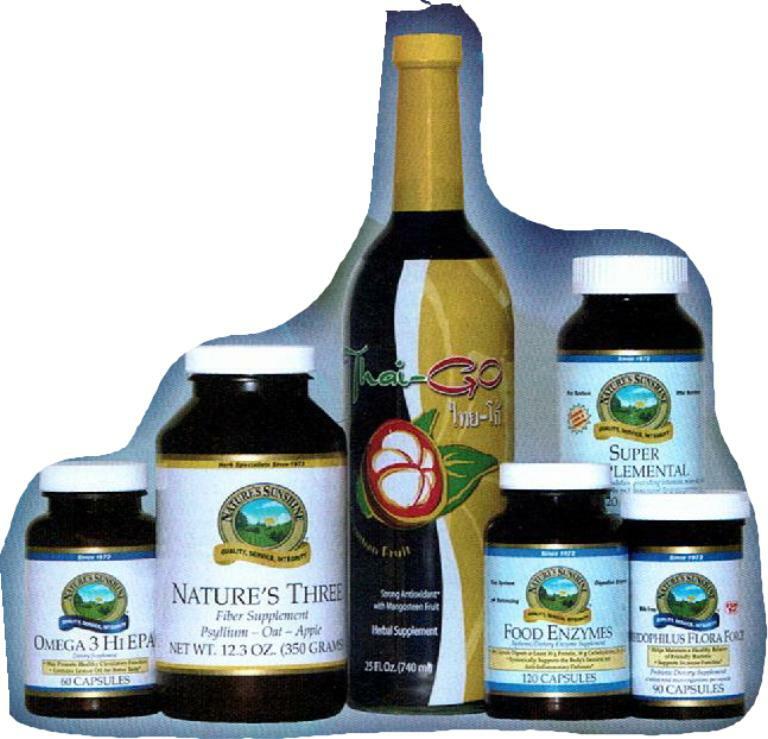 Combined with Super Supplemental, Omega 3 EPA, Bifidophilus, Food Enzymes and a fiber supplement call Nature's Three this is the perfect core program to rejuvenate healthy bodies.